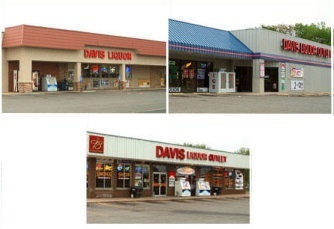 At Davis Liquor Outlet we stock the largest selection of wine, beer and spirits for your convenience at an everyday low price. With over 40 years of experience we have a passion for providing the best possible service accompanied by the best possible price just for you. We have four convenient locations to better serve you. These stores are independently owned and operated in accordance with Kansas liquor laws. Every day, enjoy discounts including 25% off wine cases and 20% off liquor cases. Additionally, seniors (60+) and veterans can take 10% off! Wednesdays, come with a 15% discount on micro and import beers. Thursdays, we offer a 20% discount on most of our wines. Subscribe to our monthly newsletter for the best coupons in town! 15 brand new coupons on the first of every month, straight to your email!